It’s the holiday season, which means time to do some serious shopping. But what to buy everyone? I get so many gifts that end up in the back of the closet, and I don’t want to do that to the ones I love. That’s why we like to give the gift of adventure! One of the best gifts you can give is the opportunity to get out of the house. Everyone wants to go out and have fun, but they don’t always make the splurge and purchase an outing for themselves. We like to splurge for them, and these gifts are always really popular. 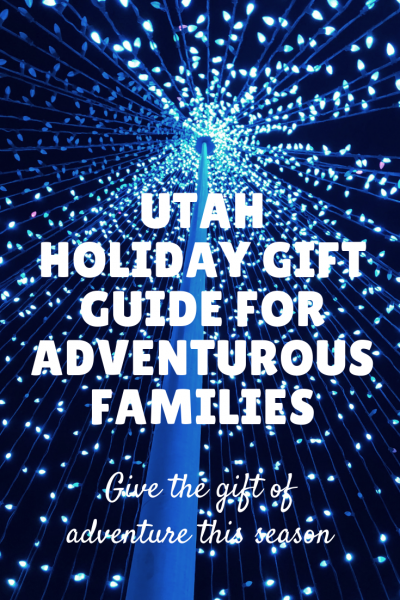 Today we are sharing our favorite family adventure gift ideas, as well as the best deals for adventures in Utah. 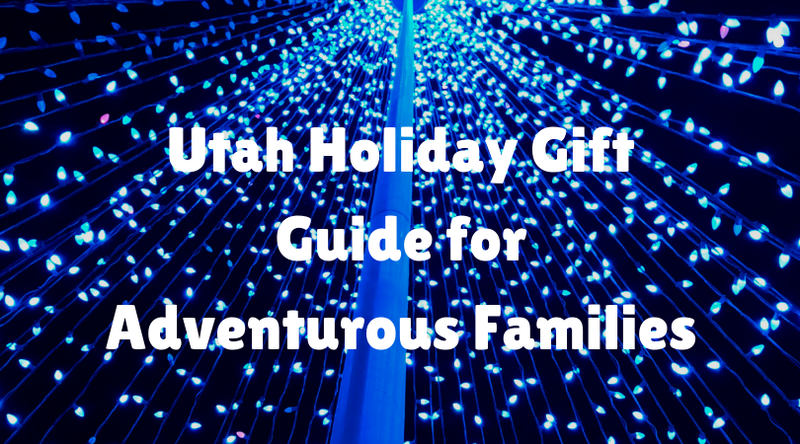 Here are a few that we have found that all Adventure Families in Utah will love. Here are a few great Black Friday Deals. We have also included some of the deals for our favorite passes in the sections below, so watch for the words Black Friday Deal! The Get Out Pass is an awesome Pass that is new in 2018 to Utah. It is so easy to use and has venues all over the state, mostly in Salt Lake and Utah counties. Lagoon is the huge highlight on this pass, and it makes the pass worth it all by itself. You can read all about the specifics on our post about the Get Out Pass. Best of all is the amazing Cyber Monday deal they are having. 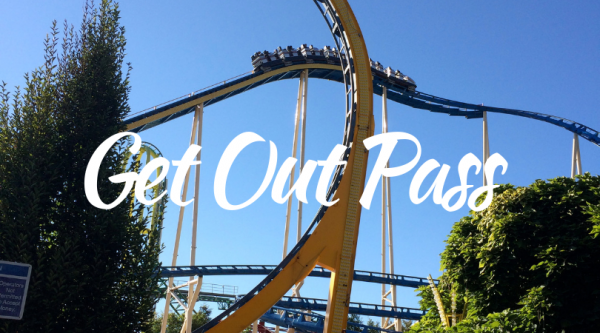 Using our code, ADVENTURE15, you can save $25 off the yearly price for the Get Out Pass. 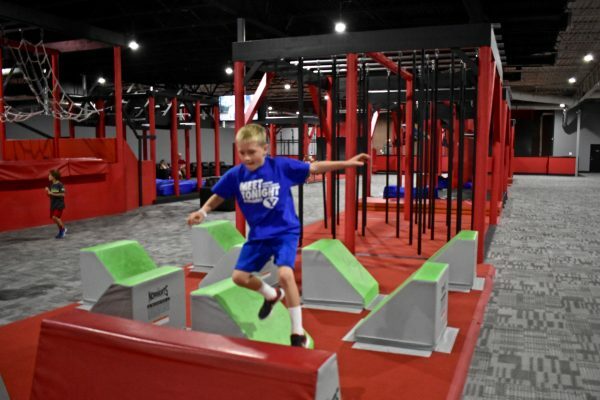 Your kids will be thrilled with a pass for Lagoon, Cowabunga Bay, Obstacle Warrior Kids, Provo Beach, and much more. They have added a gift option on their website too, so it is really simple to give the pass as a gift. When you purchase the pass as a gift, it sends a code for the person to redeem. TIP! If you have a Get Out Pass, you can purchase a gift for yourself at this amazing discount. Just choose the gift option, purchase for yourself, and then when your Get Out Pass is about to expire, use the code to renew!! This deal runs from Now-November 26, so don’t miss it! Purchase your passes on the Get Out Pass site with the code above. After Cyber Monday, you can use Adventure15 to save $15 off! We had so much fun in the escape room at Escapes in Time. The rooms are all family friendly, although they recommend 10 and older. 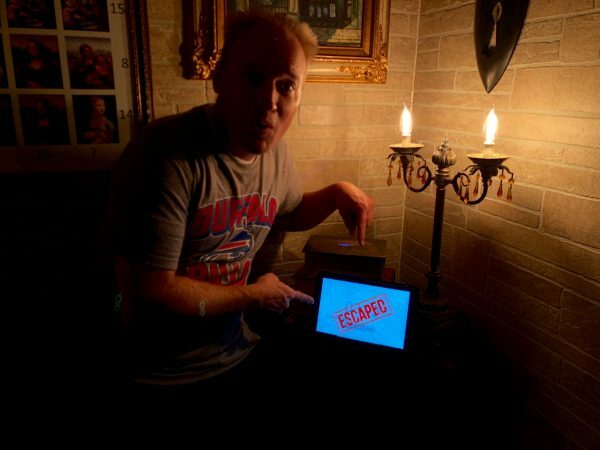 It feels so satisfying to solve the puzzles and escape the room. This is a great gift idea for couples or teens. It’s also perfect for date nights. From 11/23-11/26, you can get 50% off on gift certificates to Escapes in Time. You can purchase an entire room or just a certain amount. Most rooms are $25/person. Visit their site to purchase gift certificates. Lagoon always offers a Black Friday deal on their season passes. If you want to be able to go to Lagoon as often as you’d like, use this deal. It’s good from November 19 through November 26. The passes are $109.95 for the season. Visit Lagoon.com to purchase. We love sticking sports tickets into our boys stockings. They love finding a ticket to an upcoming game that we can enjoy as a family. 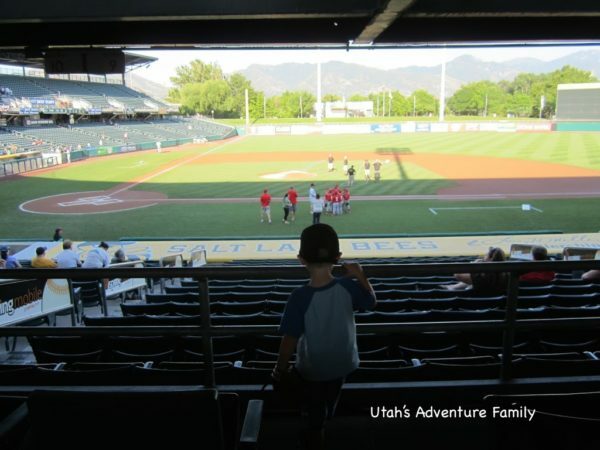 We found out about some great deals on Salt Lake Bees tickets and wanted to share for those of you who like baseball. The Bees always put on a great show, and they have such a family-friendly stadium with train rides and a play area. The following deal is good through Dec. 31, 2018. Use this ticket Link: http://bit.ly/KoyPruitt2019HolidayPacks and this Promo Code: KP6907. The Megaplex Giftcard package is available for pick up/delivery upon purchase. The Concessions & Ornament Packages will be available for pick up or mail delivery starting on Monday Dec. 10th! Some of our favorite places offer passes. We don’t have any special deals for these passes, but we still think they make great gifts because you can use the pass all year round. The pass saves you money as long as you plan to visit enough times to cover the cost. Some of the best places to visit over and over again as a family are listed below. For more detailed info about locations, click on the links to read our posts. SeaQuest Aquarium in Layton: $139.95 for up to families up to 3 children, or $199.95 for unlimited children. SeaQuest Aquarium is a hands-on aquarium where you can feed birds and pet sharks. They also have some holiday deals for a one time visit including feeding tokens. Info here. There are 5 great venues at Thanksgiving Point, so this pass is definitely worth the value (Dinosaur Museum, Museum of Natural Curiosity, Ashton Gardens, Farm Country, and Butterfly Biosphere opening in January). They also offer discounts on food, souvenirs, and special tickets with the membership pass. 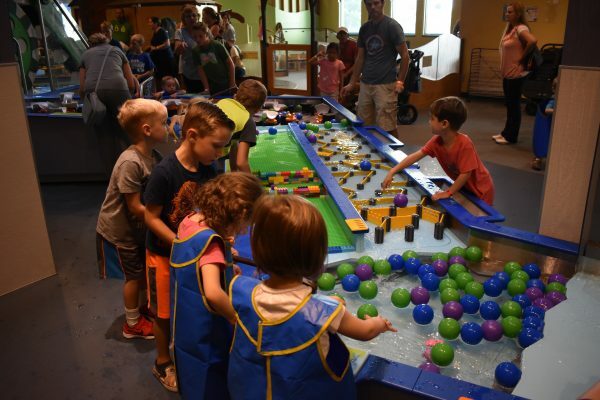 The zoo has added many new exhibits, lots of fun animal shows, and a great playground and splash pad. It’s such a fun place to visit as a family. 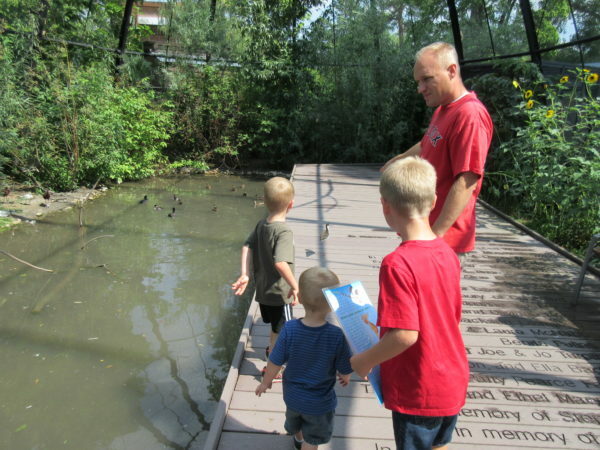 Tracy Aviary in SLC: A family pass for up to 4 people is only $89. For up to 8 people is $119. You can also add a child for $12.50 to family plans. We love visiting the aviary. The bird show is so fun, there are lots of hands-on experiences, and it is never very busy. You can visit the aviary year round, too! This is the Place helps bring history alive. We love visiting the farm, riding the wagons and trains, and interacting with those portraying pioneers. For only $100, the entire family is admitted, and it also includes all the special events except Candlelight Christmas. This museum is one of the best in Utah. It has fun for all ages, and they are always adding and updating the fun play areas. The membership pass also includes 3 hours of free parking! BLACK FRIDAY DEAL: $10 off memberships. Use code BLACKFRIDAY18! The aquarium has a lot to see and do, and it is indoors unlike the zoo and the aviary. Our boys love seeing the animals and visiting the touch pools. The membership includes the play area, which our boys love. Holiday deal through Dec. 31, 2018: When you buy a membership before the end of the year, you will get two free tickets. You can use those as a gift to someone! We were surprised at how much fun this little museum is. Every exhibit is hands-on and built with kids in mind. My kids love visiting. It’s winter in Utah and kids need to burn that energy. A great gift to give is a spot where they can run, jump, and play for a few hours. 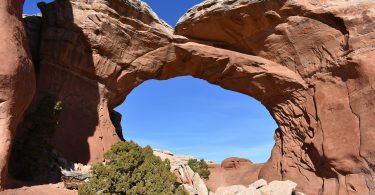 We have visited quite a few of these places throughout Utah, and there are tons more to see. So if you have one close to you, consider buying some passes for your family to spend an evening exercising in a fun way. Here are our favorites. 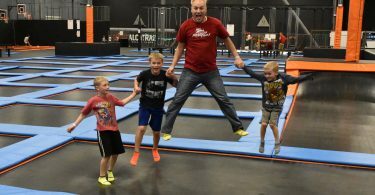 Airborne is new to Utah and they have two locations in Draper and Lindon. 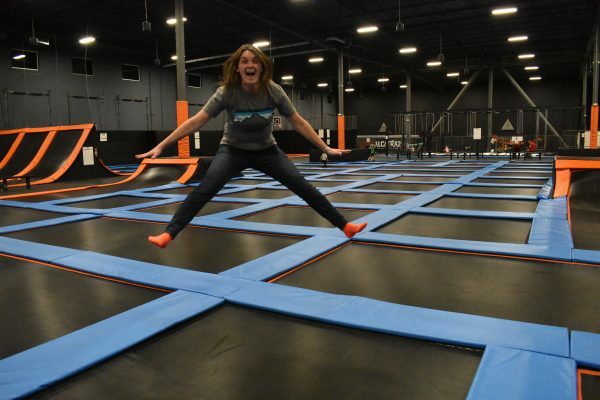 We were impressed with how many trampolines were inside, as well as all of the extra things to try, such as obstacle courses and olympic trampolines. This is a great one for teens, too. They are having a Black Friday deal: 10 hour punch pass for $65 and an extra 1 hour VIP pass. Also gift cards are $20 for a $25 gift card, and $40 for a $50 gift card. This location has Adventure right in its name. We had such a fun time jumping and climbing at Fly High. 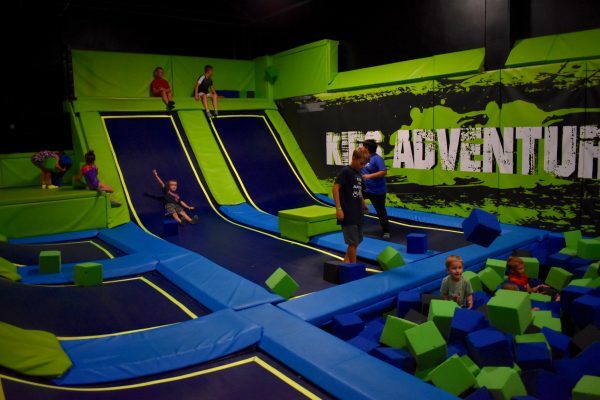 They have a huge dodge ball area, as well as places to do tricks, and even an obstacle course above the lower level. This is a great spot for all ages. This is a unique climbing spot in Lehi. Our boys feel very confident in their harnesses, and it’s fun for adults, too. We always enjoy trying to reach the top of all the different walls. 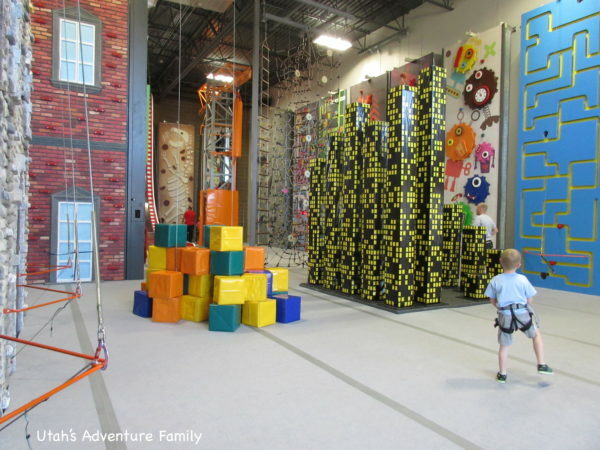 Older kids might like Momentum climbing next door. They are having a BLACK FRIDAY DEAL, too. Five punch pass for $55 or Ten punch pass for $89. Each punch is one hour of climbing. Deal here. Our boys love this place! They love the challenges, and they are determined to be better and faster every time. We love that there are different areas for different ages, and comfy chairs for parents to watch their kids wear themselves out. We try to keep our lives very simple, so we don’t purchase lots of extra items to take on hikes or trips. We don’t buy hiking boots, or fancy car games, so the items we are sharing our real favorites. They are products that we have tried, tested, and found to be worth the money! So here are a few recommendations (and most of these we have given as gifts to our kids before). Click on the picture to be taken to Amazon for more details. This is the greatest item we ever purchased. Our boys love them and it keeps them happy on hikes. They have a small pocket where I can put a snack, and it makes my backpack so much lighter because they are carrying their own water. They are currently $36.99 on Amazon! There is also a Skeeter that doesn’t have any pockets, but it’s $29.99. One of the best gifts we were ever given was this license plate flip board. We take it on every single road trip, and we have now purchased two more so that everyone has one. 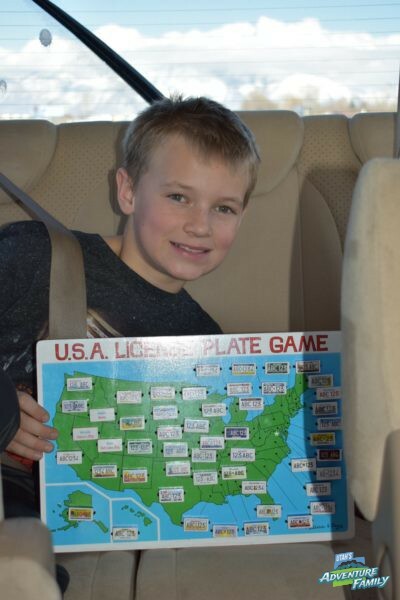 We all enjoy watching for different license plates, and this is such an easy way to keep track of them. It also serves as helping kids learn where all the states are, and we sometimes quiz our older kids on capitals, too. They sell for $13.99 on Amazon. We use binoculars on all our National Park trips, as well as any birding adventures we go on. Binoculars are fun because kids can easily learn to use them, and they feel very important with their own set of binoculars. We have bought plenty of cheap pairs of binoculars and they have all been broken by our children. We finally started letting them use our nicer set, and things went a lot better. Everyone could see, and nothing was broken. We have 3 pairs of these, and a few other sets, but this is a solid pair of binoculars for kids and adults. We keep headlamps in our car. It seems silly, but lots of times on adventures we come across caves or other spots where we need extra light. The best part about headlamps is they are hands free, but you do have to teach your children to point the light down and not to look directly at someone. Our boys love their headlamps and we have loved this Vitchello headlamp. It has lasted really well, has a red light mode for star gazing, and is super comfortable to wear. There are cheaper headlamps, but this one we have tried and proven to be durable. We hope that we have given you some different ideas to think about, and we are always looking for ideas to add. 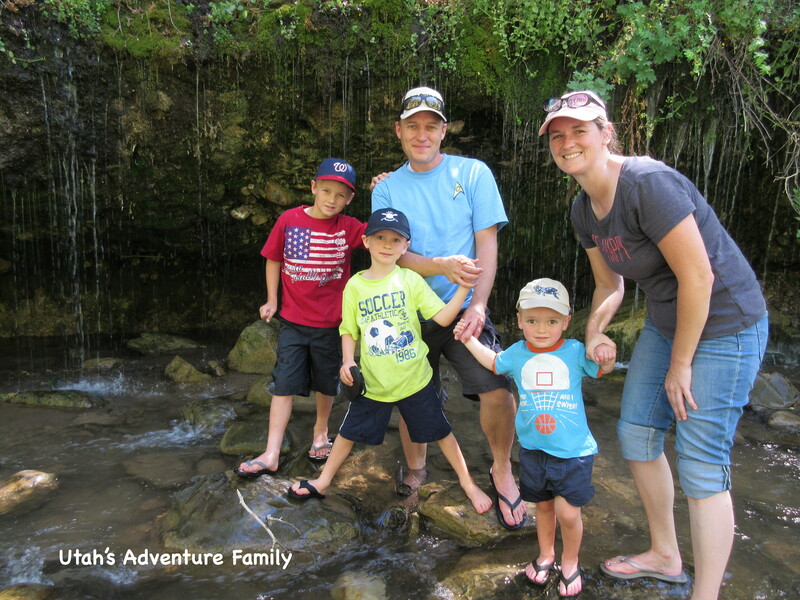 What types of adventure gifts do you give to your families? We would love to hear! **This post may contain affiliate links, which means we receive compensation if you make a purchase using the links.